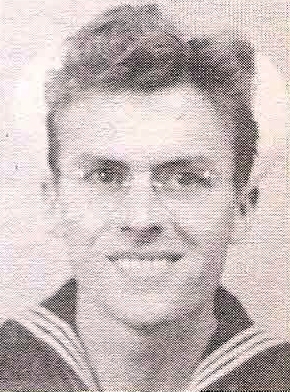 SK 1/c Herman Miles Graham, son of Mr. and Mrs. D. S. Pollard, Olney, husband of Betty Jo Cherry, graduate of Draughon Bus. College. Entered Coast Guard, 1942, trained in New Orleans. Served on Convoy Duty from US to ETO. Awarded Bronze Star, Victory, ATO and ETO Ribbons with 2 Battle Stars. Discharged in 1945.